Lovely updated single story 4 bedroom 3 bathroom home on more than a third of an acre in a well-established Thousand Oaks East neighborhood, rarely on the market! Enter through the beveled glass double doors to the spacious living room with cozy fireplace. This charming home features an open floor plan, recessed lighting, bull nosed corners, high archways, beautiful hardwood floors, double French doors and is hard wired for the internet throughout. The two car garage with extra built in storage cabinets has direct access to the kitchen. The spacious kitchen with updated gas cooktop, double oven and breakfast bar opens to the family room with fireplace and formal dining room. Entertain your friends out on the peaceful backyard retreat complete with a sparkling pool, spa, waterfall and total privacy. 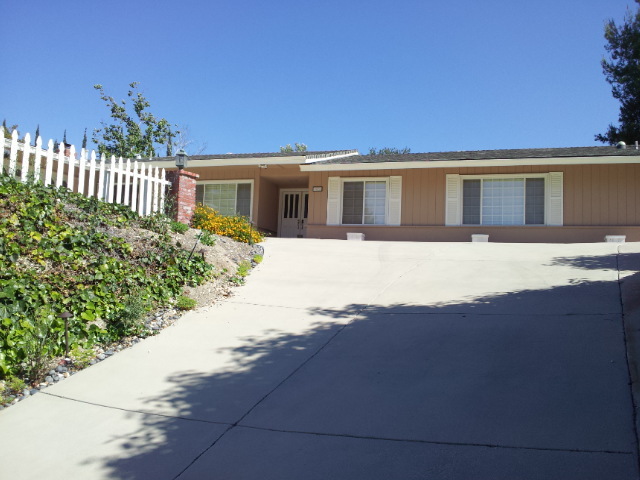 This excellent location is convenient to schools, parks, shopping, and easy freeway access. Just waiting for your finishing touches! Call to see this lovely home today!